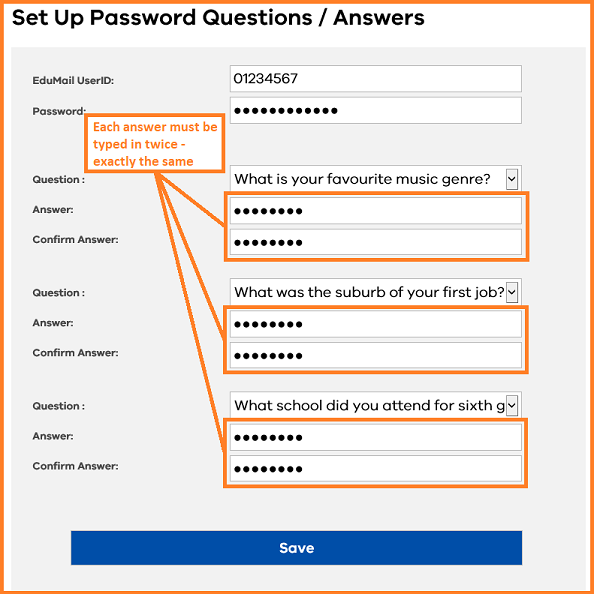 These password questions and answers are used to establish your identity should you forget your password. You may not be required to provide the answers to these questions for some time, so make sure they are answers you will always remember. For example, don’t use the question ‘What is your favourite food?’ if your favourite food is likely to change in six months. Each answer must be typed twice – in exactly the same way. To populate your password questions and answers click on the Set up password questions / answers link on the toolbar at the top.